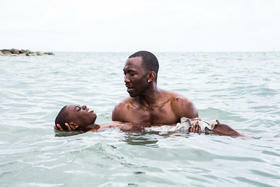 Writer-director Barry Jenkins stuck to his guns and convinced his producers to forgo the huge film tax incentives offered by other states and shoot here. Florida's own film and TV tax incentive fund ran dry last year and has not been replenished. WLRN's Christine DiMattei interviews Miami Herald film critic Rene Rodriguez on why South Florida's once burgeoning film and television industry is going flat-line. Between 1994 and 1996, an average of 15 feature-length films per year were shot in South Florida from start to finish. "That was considered the hey-day, the big boom of filmmaking in Miami,"says Rodriguez. "And it was a side-effect, I think, of 'Miami Vice' in the 1980s." But, in the early 2000's . . .
Canada started courting American film and television companies and managed to lure several big-budget productions away from the United States. That led individual U.S. states to offer production companies . . .
Florida had its own tax incentive plan, the Florida Entertainment Incentive Program, until last year. In 2010, the Florida Legislature set aside nearly $300 million in tax credits for film, TV and video production to be awarded only after production had wrapped. The fund was supposed to last for five years, but ran out in three. In 2016, Florida lawmakers refused to replenish the fund. And that's leaving South Florida's film industry . . . The lack of incentives is making it well-nigh impossible for Florida to compete with other U.S. states, like Georgia, that offer generous incentives -- some as much as 30 percent in tax credits. And so Florida film and television industry pros are looking for . . . The Congress of Motion Picture Associations of Florida (COMPASS) is championing a bill that would establish a direct investment program that won't rely on tax incentives. Miami-Dade's Office of Film and Entertainment hopes to put a plan before county commissioners this summer that would offer some sort of incentives to production companies. Film Florida, a non-profit entertainment production association, is working on a proposal that would tie incentives to education, offering production companies a 5- to 20-percent reimbursement for any project that hires a Florida college or university graduate for a key role — like actor, writer or director. But in the meantime . . . In recent years, people employed in below-the-line jobs that don't involve acting, directing or writing -- make-up artists, gaffers, electricians, location scouts -- have been leaving Florida in droves. "Once too many people move away, there's no infrastructure left in place," says Rodriguez. "So even if you want to come and shoot your film in Miami, you can't -- because there's nobody to help you make it."